When wild animals are found hurt, orphaned or have lost their homes to development, SWCC knows just what to do. We are there to help our native wildlife by giving them a safe place to recover and grow; a place where their wildness is nurtured and encouraged. Our doors are always open. Specially trained staff and volunteers are on call to respond to any wild mammal emergency that may arise. Injured animals are carefully transported to our onsite clinic where they receive much needed care. 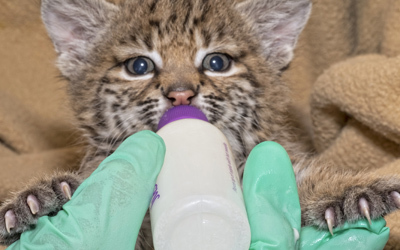 Whether it's a dehydrated bobcat in need of IV fluids, or a coyote that requires life-saving surgery, no animal is turned away. The rehabilitation process continues at SWCC where the animal will have a quiet place to heal and begin its journey back to the wild. For some animals, this may be a few weeks of rest and recovery, while others might require a longer stay to heal fully. Our goal is to provide each animal an opportunity to return to the wild as safely and quickly as possible with minimal human contact. During the spring and summer months, SWCC is inundated with orphaned baby animals that need around the clock care and feeding. Sterilizing baby bottles, preparing specialized formulas and filling hungry bellies top our list of priorities. Once these orphans are weaned from the bottle and eating on their own, they are moved to an outside area to be with releasable animals of their own kind. 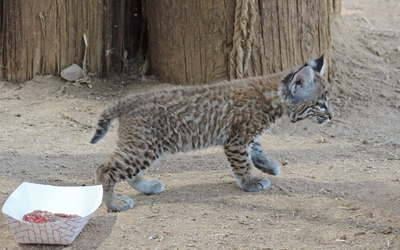 This is where they will learn the important lessons that will help them transition back into the wild. A new chapter begins when they are ready to graduate from Southwest Wildlife. Release sites are carefully chosen to help increase their odds of success. 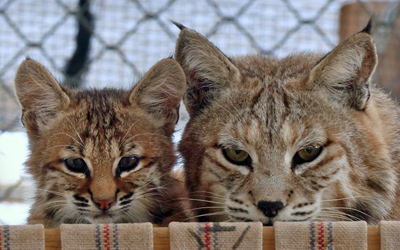 SWCC has rehabilitated thousands of sick, injured, orphaned or displaced wild animals. 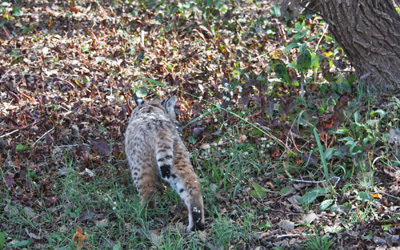 More than 70 percent have been successfully released back into the wild.